The price of taxi-cab medallions in New York seem to have hit a new low. operate a yellow cab in New York — was listed for $250,000 on nycitycab.com. That’s a stark contrast from 2014, when the value of a medallion was listed around $1.3 million. Medallions are tightly regulated, and you cannot operate a taxi in New York without one. They’re losing value with the cab business taking a hit amid the rise of rideshare apps like Uber and Lyft. 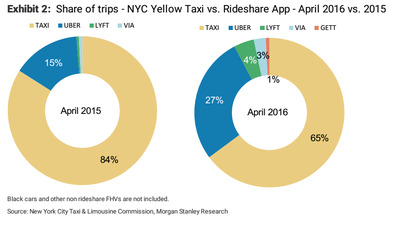 Notably, although taxis are still beating Uber and Lyft in New York City, the share of trips shrank to 65% in April 2016 from 84% in April 2015, according to charts shared by Morgan Stanley analysts in July. 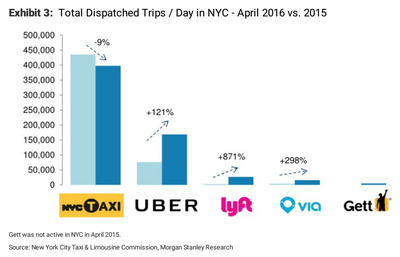 Moreover, the team also shared a graph showing the total dispatched trips per day in New York in April 2016 compared to April 2015. 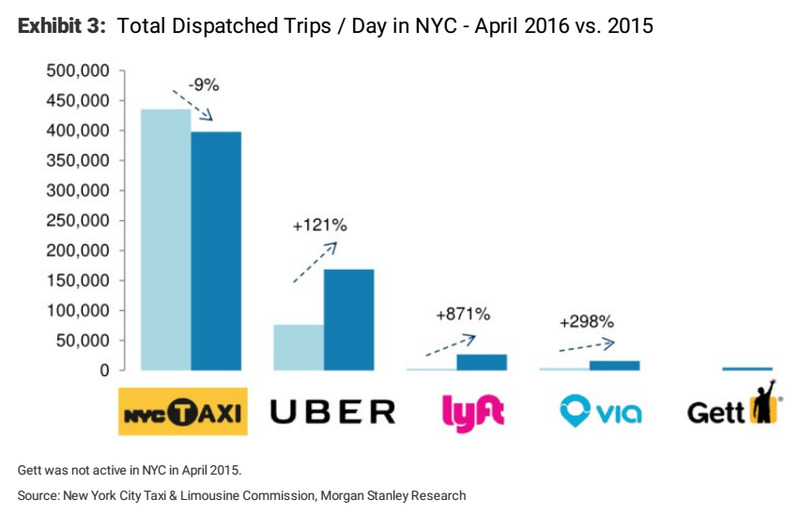 Again, although the number of trips per day for NYC taxis is far greater than the number of trips per day by Uber and/or Lyft, the figure for cabs has dropped by about 9%, while the rate for Uber and Lyft has surged.